I waaay waaay waaaaaaay over-packed for the hospital. 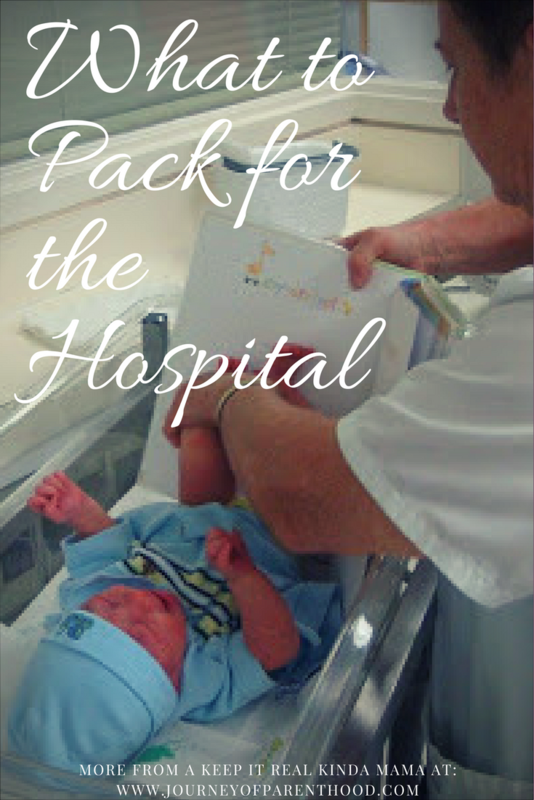 We did this because I hate hospitals, we wanted to have entertainment in case I had a slow, long labor while in the hospital, and I didn’t know for sure that I’d leave within 24 hours so I wanted to have plenty of my things to keep me company if I ended up staying longer. Seeing as I had a 8 hour labor and delivery from start to finish for the first baby, I know the next ones will probably be falling out of me when I reach the hospital doors! So from now on, I’ll be packing much lighter. Boppy: I’m so glad I brought mine as it really helps figure out the whole breastfeeding thing. I seriously don’t know how I’ll ever nurse without it! Snacks: Zach made chicken salad and peanut butter crackers, I made brownies and rice krispie treats, and we brought granola bars. All very worthwhile. After delivery Zach, Autumn and I scarfed down for real. The peanut butter crackers were heaven. As were the brownies. I know the snacks really got us through because I got hungry at random times and they only bring you hospital food at breakfast, lunch, and dinner. We spent NO money on any of the vending machines! Good Sports Bra: I invested in a nursing sports bra. I wore it when I left the house and it kept my sweat from really grossing me out. It also made it easy to nurse right after he was born and it made it easier to let the “girls” hang out while still having support while they were sore (I opened the nursing flap and pulled them out so they could be exposed to air but the eleastic under them helped them not feel saggy). Nursing PJs: I know now how hot I’ll be so I’ll be sure to get very light ones next time (although the ones I had at the hospital were very light which was nice). I did NOT get dressed until we left the hospital to go home so any other clothes other than the cute pjs are pointless. Stuff They Will Charge You For: As I mentioned in the last post, I could have brought half the stuff with me that they charged me a crap load for and could have saved a lot of money. Next time I’m buying: Dermoplast spray, brand name stool softener, Lansinoh cream, blow-up ring, Hemorrhoid cream, witch hazel pads, epsom salt, overnight pads with wings, light pads with wings, medicated mouth wash.
Bathroom Stuff: Next time I’m packing less of this crap too. Just the face wipes and my other little “steps” for my face, toothpaste, toothbrush, something to fix my hair, deodorant, and makeup should do fine. For Husband: a HOODIE! Zach was freezing while I was so hot. He also wore some comfortable slippers all day and just wore lounge clothes. He took a shower after delivery and was so thankful he did so his bathroom stuff is more important! Stuff for baby: An outfit for the hospital picture (which we didn’t buy, his face was waaaay too scratched up), mittens are a MUST, small hats, and an outfit to wear home. We also brought his Sleep Sheep which was smart on our part! Such an expert already!! 🙂 DEFINITELY invest in the Ducolax, that’s the kind I took…. ahh sweet relief!